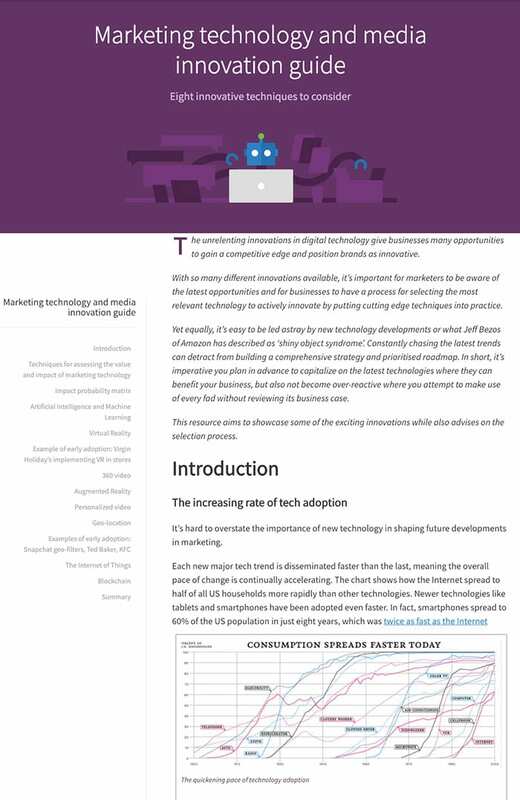 Use this guide to discover the latest marketing technology innovations. 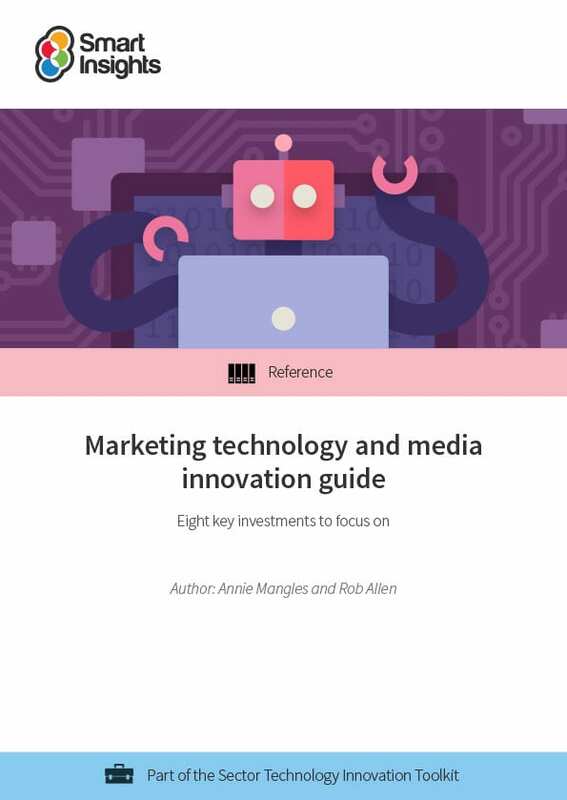 The guide outlines the most important new technologies marketers should consider when planning for future investment in customer-facing marketing experiences and communications to encourage brand engagement and purchase. At the start of the guide, we also explain different planning techniques that will help you take the right strategic decisions when evaluating new technology investments. The guide is written primarily for business leaders responsible for directing investments in marketing technology. This includes marketing, E-commerce and IT directors. Many of the examples are from early adopters in sectors such as retail, travel and financial services who use transactional E-commerce. So it is particularly relevant for these sectors. However, its focus on technology trends will make it useful for anyone planning where to invest and developing strategies for future years. This means it will also be useful for CMOs (in all businesses) and CEOs in certain businesses. Those working in marketing agencies can use it to consider what emerging technologies they can offer to their clients. Related recommended resources: This guide covers innovation across all sectors. We also have sector-specific briefings covering Ecommerce innovation, Travel industry trends and Financial services innovation. For more details on Artificial Intelligence, see our briefing on AI and machine learning. Dave is co-founder and content director of Smart Insights. 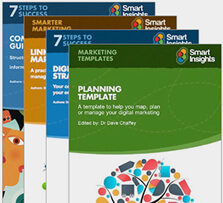 He is editor of the 100+ templates, ebooks and courses in our digital marketing resource library created by our team of 25+ digital marketing experts. Our resources used by our members in more than 100 countries to Plan, Manage and Optimize their digital marketing.